Take in the best 360 degree island views from the famous California Lighthouse. You can now even climb the top! The old stone California lighthouse stands as a silent watchman in the area known as "Hudishibana," near the island's northwestern tip. It beckons visitors to the most spectacular views of the island. The lighthouse was named after the S.S. California - which sank before it was built in 1910. Perched on a high seaside elevation, the lighthouse has become one of Aruba's scenic trademarks and offers a picture-perfect view of the island's western coastline of beaches and coral shorelines. 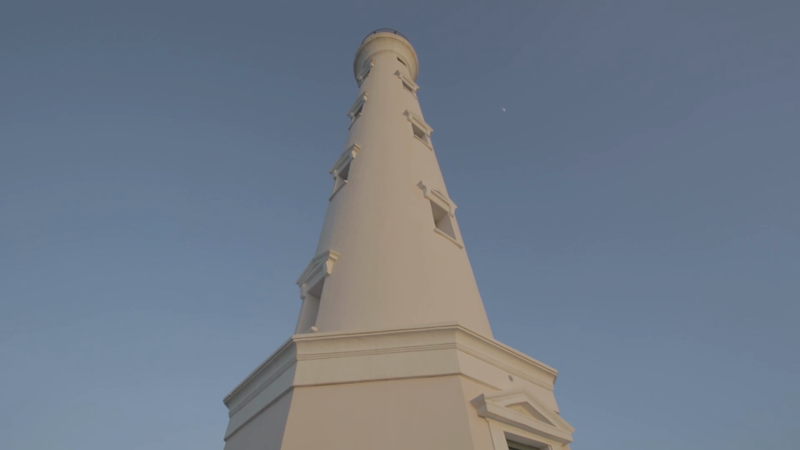 Any time of day or night is a great time to visit the lighthouse for a 360 degree view, yet the sunset is hands down the right time of day to be there, as the big orange ball of fire gently dips into the Caribbean Sea. Keep your eyes open, you might see the green flash. The lighthouse is now also open for tours: visit www.arubalighthouse.com and book your ticket for $8. Refreshments are available, or take in the full experience with a romantic lunch or dinner at the El Faro Blanco restaurant.